If you’re looking for quality room hire plus a great seaside venue for your meeting or function, then we have it all. We can offer you small meeting rooms to larger conference rooms sea view rooms, which can accommodate up to 30 people. We provide a central location for all your needs and even have our own Waterfront cafe here on site ready to serve your catering requirements. Our Waterfront Cafe can provide you and your clients with delicious hot/cold drinks and refreshments, plus snacks. However for bigger events why not order lunch or a Sandwich buffet and with our expertise we can create an inviting Healthy Buffet fit for any VIPs. All are cost effective, have Full Accessibility and include FREE wifi access. Located next to the award winning Blue Flag Sheerness Beach and promenade, there is lots to take in from scenic sea views to local amenities and transport links. Parking is taken care of with an onsite car park run by Swale Borough Council, (additional parking costs apply). 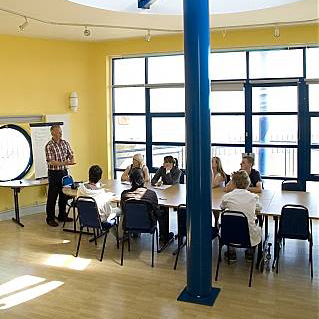 WE have rooms at Sheppey HLC in Sheerness and House based in Eastchurch Village Hall.